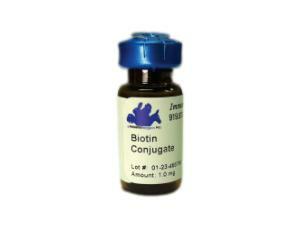 ImmunoReagents’ Biotinylated antibody conjugates are widely used due to their ability to enhance antibody signal in most immunoassays. Biotinylated secondary antibodies are used in most immunoassay formats (i.e., ELISA, Immunohistochemistry (IHC), and Western blotting). While Biotinylated antibodies by themselves do not produce a signal that can be visualized, biotin has a high affinity and specificity to Streptavidin/Avidin. Using ImmunoReagents’ streptavidin conjugates with biotinylated antibodies results in signal amplification.